With the new year around the corner, most of us have probably gotten our resolutions down pat. One common resolution is to be healthier and keep fit. 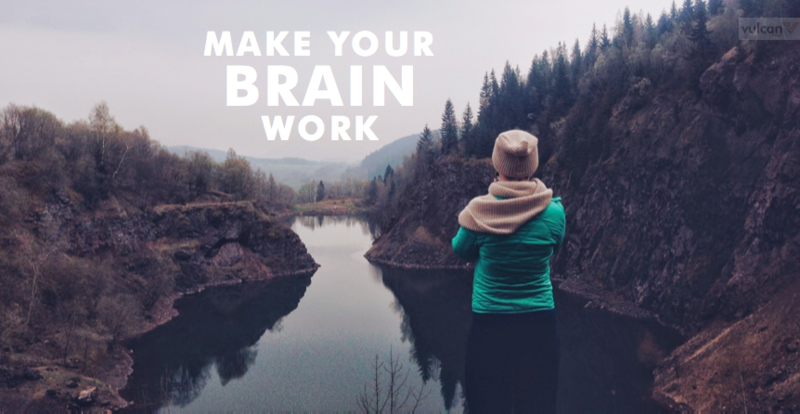 But in our pursuit of fitness, there is one part of the body we tend to forget — the brain. According to research, the brain can start to slow from as early as 24. That sounds frightening, and yes, ageing is inevitable. But that doesn’t mean nothing can be done to delay the ageing process, or at least upkeep our cognitive skills. 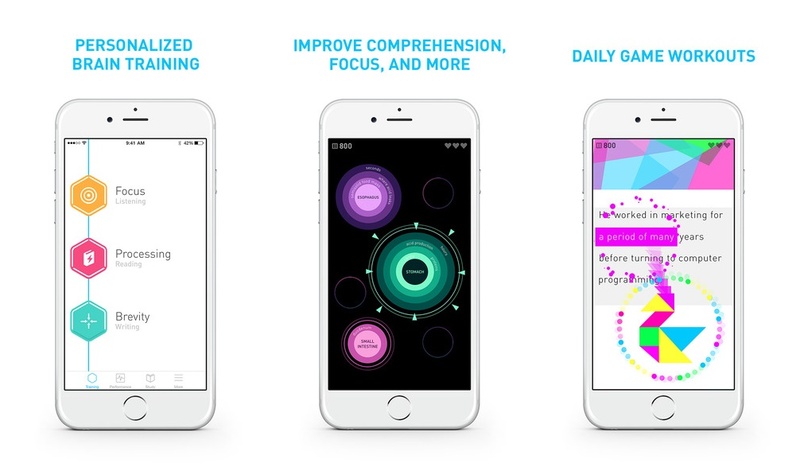 Besides completing crossword and sudoku puzzles in the papers, here are some brain-teasing apps that could stretch and strengthen your grey matter. The games are simple to play and take only minutes out of your day. But do them often and long enough, and the results will show. As it is with most habits, it’s amazing how a little every day can help you stay mentally sharp. 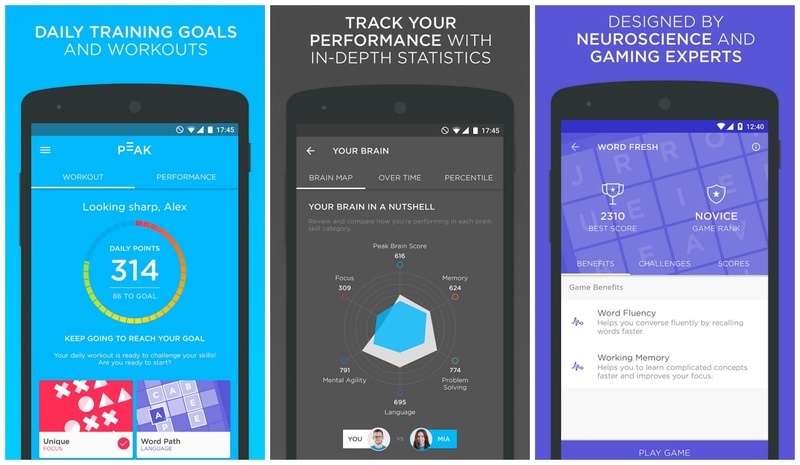 This brain-training app was developed from research and collaboration with neuroscience and gaming experts. It focuses on six areas: Memory, focus, emotion, mental agility, language and problem solving. There are 18 bite-sized games, but only four are available daily with specific goals to meet. Scores are converted into a brain map or time graph to chart strengths and weaknesses, while difficulty increases with progress. The Pro version offers six more games and in-depth insights. But honestly, the free version is enough in itself. Peak’s rival, and just as good. And as it is with Peak, difficulty adapts to tracked performance. Elevate has more than 35 activities that combine into new sets of challenges every day. Besides working on the usual like focus and memory, Elevate works on — among others — comprehension, precision, spelling, and estimation. It’s also supposed to improve eloquence. So the next time you’re asked to give a presentation, it’s likely you’d be less tongue-tied. A Pro subscription is available. 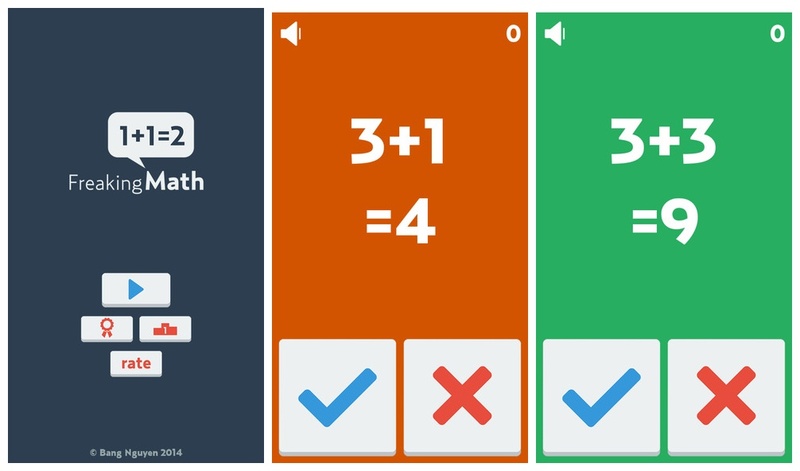 Freaking Math is a super easy game that’s challenging yet addictive. All you have to do is verify whether a math equation is true or false. The equations are what you’d learn in primary school. But the catch is this: You have to answer in one second! Besides keeping you on your toes with adrenaline, this game encourages focus, stretches mental agility, and celebrates the competitive streak in you. This is a memory enhancement app that makes use of a ‘spaced repetition’ technique. Recall prompts are spaced out over time, with each time block longer than before, thus encouraging long-term memory. The good thing is you are made to remember actual details from your life: phone numbers, credit card details, passwords, even vocabulary. So it’s really more a handy tool than just a game. 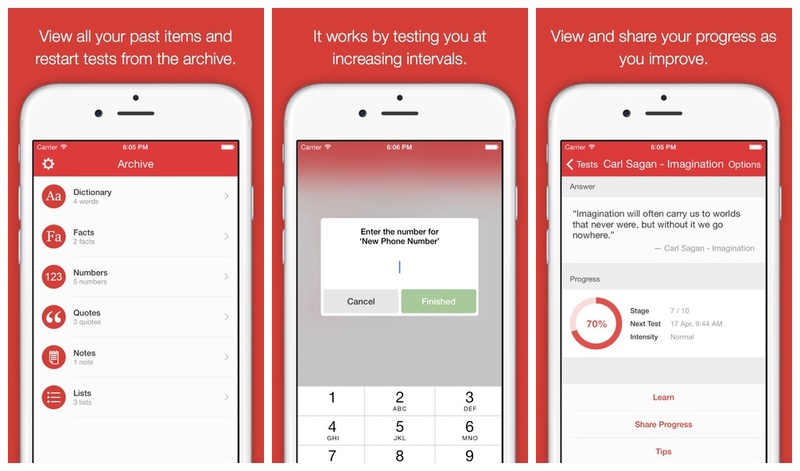 Solve riddles with this app. The riddles are essentially stories, although terribly ambiguous and incomplete ones. Sure, there are several clues, but even then it’s not easy. You have to think out of the box with this one. Be careful you don’t lose too much sleep because of it. 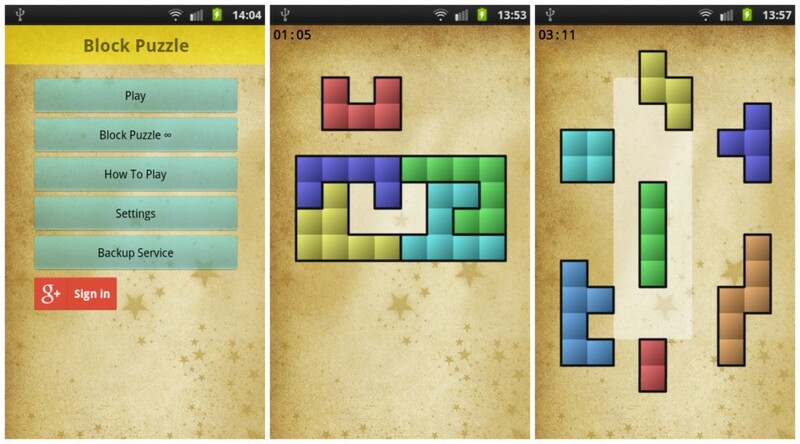 In Block Puzzle, the player has to arrange tetris-looking shapes so as to fit them together to create a bigger shape. It sounds easy, but it’s not. There’s only one solution per puzzle, pieces can’t be rotated, and puzzles become more difficult as you go. And if that’s not enough, you can opt to play against the clock. With offerings of some 6,000 puzzles, this app should keep you occupied for quite a while. This is for the word lovers out there. 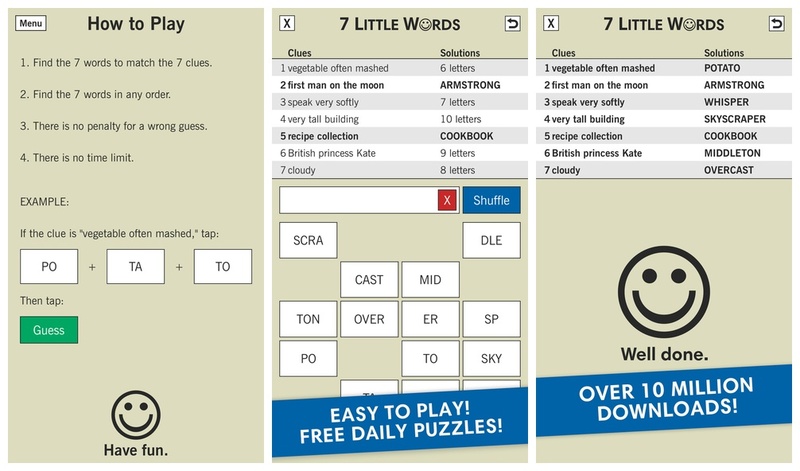 This game is a twist of crossword puzzles, word finds and anagram games. Each puzzle has 7 clues, 7 mystery words and 20 letter groups. Solve the puzzle to find the mystery words. You then combine the letter groups to create the words. It’s an easy enough game to help improve your vocabulary. And since the puzzles are bite-sized, it’s also manageable for the commuter.